These are perfect when you need a healthy chocolate fix. They are quick and easy! 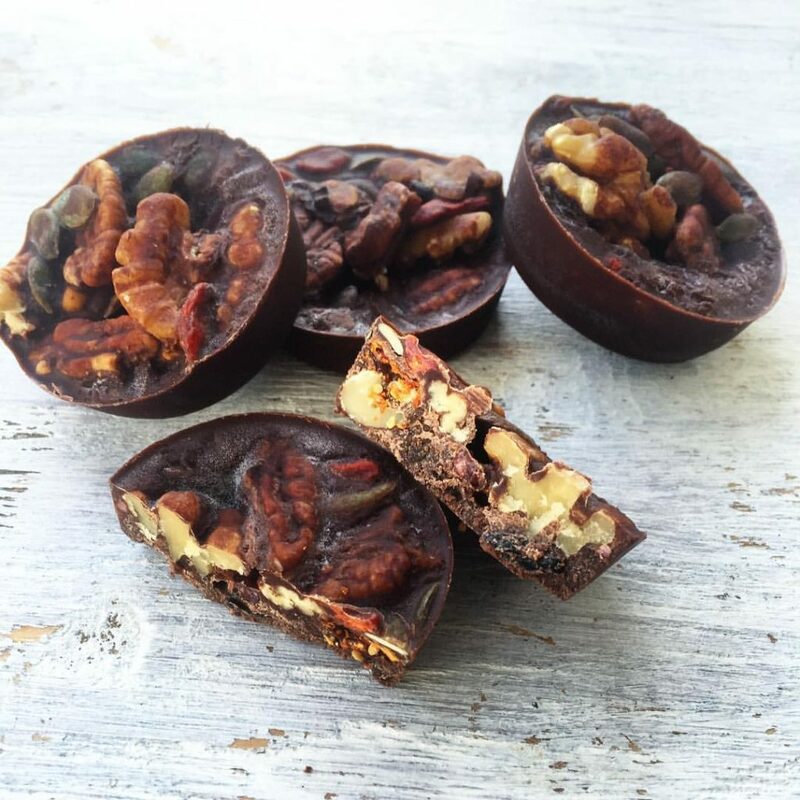 In silicone or paper cupcake moulds add to each mould: 2 walnuts, 2 pecans. Then add a few goji berries, pumpkin seeds, cacao nibs, coconut flakes, and raisins. Pour 3 tablespoons of the melted chocolate into each mould. Place in freezer to harden for 10 minutes and boom! Delicious treats. Go make these now! You can use any toppings you want if you don't have the ones I used on hand. It's all good!